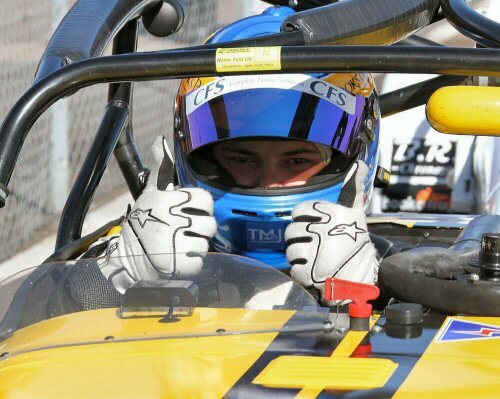 Caterham Superlight front-runner, Ollie Taylor, is back on track to fight for the 2013 Superlight championship crown, with the news that his disqualification from Brands Hatch in August for a technical infringement has been over-turned by the Motor Sport Council National Court. Taylor’s R300 Superlight car, which is prepared and run by Surrey-based DPR Motorsport, was disqualified from the results of the 11th August race at Brands Hatch for an alleged breach of the technical regulations relating to a Stack water temperature sensor. DPR Motorsport immediately rejected the disqualification as unjust, but Caterham Motorsport maintained the claim that a ‘clear breach of regulations’ had been made and that Taylor’s points must be deducted. DPR Motorsport was deeply unhappy with the decision which seriously compromised Taylor’s outstanding performances towards securing Championship victory, and immediately started appeal proceedings with the MSC. On October 1st, 2013, the MSC court concluded that: “There is insufficient clarity as to what modifications can be made with regard to the fitting of additional sensors in the cooling system”. Furthermore, it has gone on to say that “this (area of the technical regulations) must be clarified as a matter of urgency by Caterham”. David Rowe of DPR Motorsport, says: The original decision to exclude Ollie from the Brands Hatch results was fundamentally flawed and deeply damaging to our championship prospects. Ollie and the team have worked hard to make this season a success, and above all we have a reputation to maintain. As such, we are delighted that having reviewed all the evidence the MSC National Court has so clearly ruled in our favour including placing a requirement on Caterham to revise the regulations. Ollie now has a very real chance of securing the 2013 championship at the next race weekend at Silverstone.